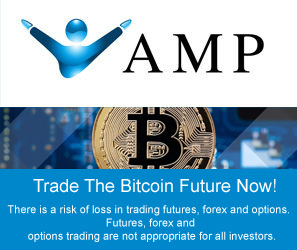 Amana Capital: A brand new ZuluTrade Broker! Traders and Brokers are having a hard time in 2018 due to the more restrict esma regulation rules, stipulated by the European Union. Fortunately the world doesn’t end at european borders and there are some tiny little islands that prefer freedom over restriction. Bermuda is a nice little island in the atlantic ocean that belongs to the united kingdom but changed their currency to the bermuda dollar in 1970. Now this little tax oasis wants to attract ICOs. Crypto trading is an exiting business. Due to the high volatility of the crypto markets there is plenty of opportunities for day and swing traders. But it is not always that easy to make money with cryptocurrencies. There are mainly three things that drive crypto traders virtually nuts. Normally we all know and use the blockchain technology for cryptocurrency purposes only. But there are several other things by means of which blockchain technology can be applied in order to improve our lives. BTV (Blockchain Trade Verifier) is just one of these. FXPRIMUS is the first online broker to implement this brand new trade verifier technology. The $1 billon dollar bet is running. An anonymous buyer from china operating under the acronym “Yi Mei” is reported to have bought 96.000 BTC worth more than $1 billion dollar on a bitcoin exchange. Who might be the anonymous buyer? The largest Amazon competitor in China “Alibaba” has discovered a new playing field: The company is going to launch a crypto mining business in China. This could become an adventourous project as China is about to tackle the crypto boom. The biggest advantage of bitcoin & co is anonymity, speed and evasion of traditional payment methods such as wire or credit card transfer. Advantage not only for the good people but for the evil ones as well. Homeland and Secuity Department is concerned about the possibilities offered by cryptocurrencies. Regulation is needed.